Well I suppose someone had to find a use for dubstep eventually, and it looks like scientists have done just that. It must’ve been a slow day in the lab when one scientist looked to another and said: ‘Hey, dubstep is weird isn’t it? Shall we play it to some mosquitoes and see what they think of it?’ (At least, that’s how I assume most scientific experiments get thought up). The music started playing and, amazingly, the mosquitoes responded to it by being repelled, and basically just trying to get away. Natch. The team of international scientists put it in a more serious light of course, because, they say, sound is ‘crucial for reproduction, survival, and population maintenance of many animals’. So they wanted to see what real effect different sounds had on mosquitoes, and if it could be utilised to stop them spreading disease, BBC News reports. 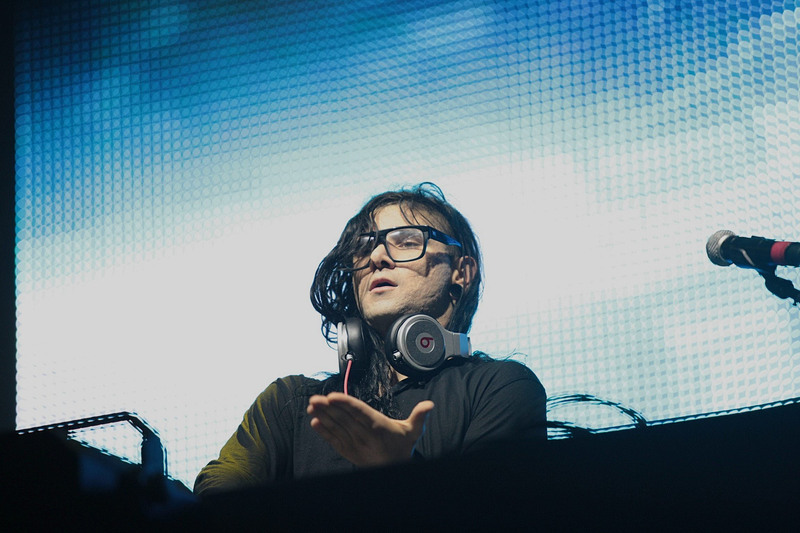 They chose Skrillex’s track Scary Monsters And Nice Sprites, from his Grammy-winning album of the same name, because of its mix of very high and very low frequencies, and because it’s an extra large tune amIright?!. In insects, low-frequency vibrations facilitate sexual interactions, whereas noise disrupts the perception of signals from conspecifics [members of the same species] and hosts. The results of the unusual experiment, published in Acta Tropica, found the mosquitoes (specifically the species Aedes aegypti, known as the yellow fever mosquito), attacked hosts later and less often than their dubstep-free counterparts. 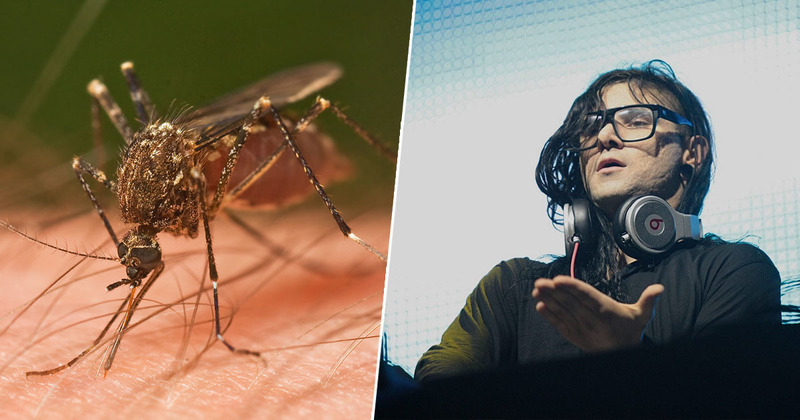 They also discovered the mosquitoes mated far less often if they were listening to Skrillex, which makes sense. The occurrence of blood feeding activity was lower when music was being played. Adults entertained with music copulated far less than their counterparts kept in the environment where there was no music entertainment. The observation that such music can delay host attack, reduce blood feeding, and disrupt mating provides new avenues for the development of music-based personal protective and control measures against Aedes-borne diseases.